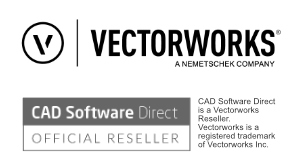 Vectorworks Landmark is superb software for professionals working in landscape design, garden design or urban design disciplines - or anyone designing for the built environment who would benefit from tools dedicated to this specific sector. Use Vectorworks Landmark to plan your external environment, calculate planting or paving requirements, handle landscape point cloud data or create stunning presentations. Landmark's intelligent, built-in objects, powerful databases and flexible documentation features will help you produce 2D and 3D concepts, analyse the pre- and post-development site conditions, and create construction documents. Vectorworks Landmark software gives you a platform to design in your own way - from effective project sharing that allows you and your team to work concurrently on the same Vectorworks design file to a Hardscape tool that allows you to get more creative with pavements and walkways. Use Landmark's suite of precision drawing tools and intelligent landscaping, irrigation, site design, and road objects to lay out plans, elevations, sections, and detail drawings. Tap into it's libraries of entourage, customizable line types, gradients, dash styles, and unlimited color palettes. Produce high-quality documentation with ease. An advanced suite of Parasolid-based solids and NURBS surface tools lets you create any shape and easily explore geometry. With Subdivision Surfaces, you can transform primitive shapes likes spheres and cubes by subdividing and molding each surface into any form imaginable, creating unique focal pieces, sculptures, water features, play structures, and more. Using your preferred 3D scanning device, you can capture a physical location and import a 3D point cloud object into Vectorworks Landmark using PTS, E57, LAS, and XYZ file formats. Supporting point cloud technology not only provides a real way for landscape architects and designers to model efficiently and affordably with more accuracy than ever before, but it also makes modelling, inferring, and referencing data easier. Take your site designs to new heights with Landmark’s slope modifiers, tools, and definitions. Accurately manage multiple sloping surfaces, choose how you prefer to display your slope labels, and more to generate the most exacting site designs with less work. Proposing changes to a site’s terrain alters the flow of rainwater. With Landmark, you can use color and other linetype changes to quickly recognize the difference in water flow direction from existing to proposed to better plan how you manage water on a site. Start with any image, sketch, or formal iteration and move easily between 2D and 3D views in a unified working environment. Then, take advantage of new ways to collaborate and maximize efficiency with Project Sharing, which enables landscape professionals to streamline design document production and manage planting, hardscape, grading, and more — all while multiple designers are working on the same Vectorworks file concurrently. Import scans, digital photos, or web images. Import or export a wide array of image files. Also, publish your designs for inclusion in your firm’s marketing materials or website. Get on the cutting edge of collaborative digital practices, exchanging 2D drawings, 3D models, BIM and SIM data for numerous multidisciplinary, multi-platform design workflows, and even sending models to 3D printers. Analyse your design for boundaries, area, volume, slope, cut/fill, and other data, such as water flow and sun/shade. Document existing structures, plant materials, and site conditions. Integrate mapping and site modeling needs into your workflows. Add survey data to your drawing and use it as the basis of your site model, or import CAD drawings and data from architects, builders, or engineers to use as base plans. Import geo-referenced aerial/satellite images and GIS data files from federal, city, state, or other agencies.